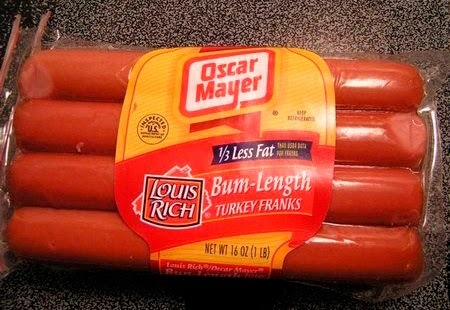 If you've ever giggled at the mention of Oscar Mayer wieners before, you might like to try these hot-dog frankfurters for size. Perfect for slipping in between two buttered halves of a warm bun. Er, that's not what I had in mind.